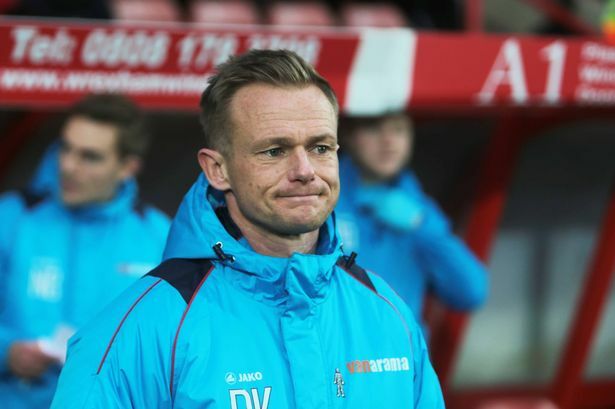 Dean Keates has spoken to the North Wales-based media and once again dismissed the rumours linking him with the newly vacant Walsall manager's job. Former Saddlers midfielder Dean Keates has spoken to the North Wales-based media and once again dismissed the rumours linking him with the newly vacant Walsall manager's job despite him being among the favourites to land the role. "It is the club I support. I stood on the terraces as a kid and I was fortunate enough to live many fans' dreams by representing my hometown club. But that chapter is closed and my playing career has gone, they are fond memories and I am still a fan." Wrexham boss Dean, who enjoyed two spells with his hometown club, was quickly established as one of the favorites to replace Jon Whitney, who was sacked on Monday after a string of poor results and performances which sees the club sitting towards the lower reaches of the League One table with just nine games remaining. Speaking via the Leader, Dean was quick to point out his happiness with the Racecourse-based outfit as they continue to challenge for promotion in the National League, he said; "My job is at Wrexham Football Club and that is all I am concerned about. People are going to linked here, there and everywhere. "I don't get my eye taken off anything and my job is here until I am told anything different, be that good results, indifferent results or whatever. There is nothing in it from my side whatsoever. I have got a job here and I am more than happy here." Walsall-born Keates then went on to discuss his love for his hometown club but insisted he is happy with Wrexham and is only concerned about preparing his side for Saturday's clash with Woking, he continued; "Unfortunately somebody has lost their job. The fact I have played there and I am from there, there was always going to be the possibility of a link. I am a hometown lad, came through the ranks, broke into the first team and achieved three promotions there. "It is the club I support. I stood on the terraces as a kid and I was fortunate enough to live many fans' dreams by representing my hometown club. But that chapter is closed and my playing career has gone, they are fond memories and I am still a fan. "It is still the first result I look at after looking at the National League results. It is a special club to me but I have got a job at Wrexham Football Club and I am enjoying it. It has its moments and there was a very good feeling after the weekend but now it is just a case of getting ready for Woking." Despite his desire to distance himself from the job Dean remains joint favourite to join the Saddlers in the not too distant future as he and current Coventry City assistant-manager Adrian Viveash continue to be linked with a return to Banks's Stadium.